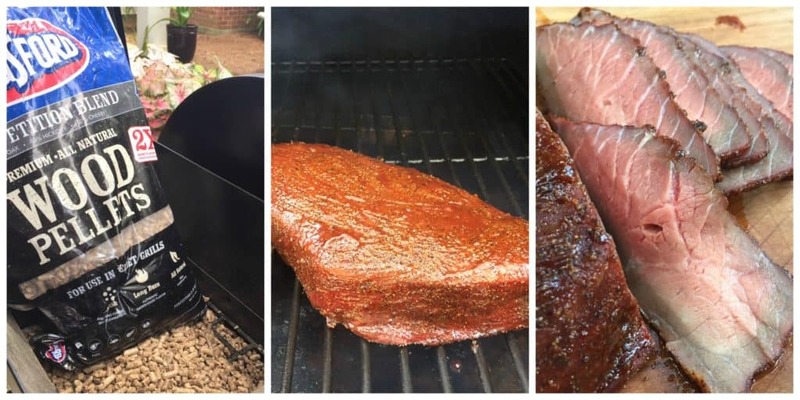 Kingsford Pellets Review: Three Ways to Enjoy the Smoke! 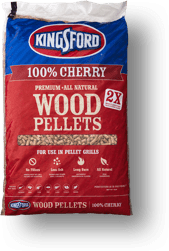 I have been waiting for Kingsford to jump into the wood pellet market and was excited when they finally launched their products last month. The pellet market is exploding and it only made sense for the iconic charcoal producer to join the party! What I have always loved about Kingsford charcoal is the consistency of the product in terms of quality and availability. No matter where I go in the country I know that I am going be able to find a blue bag of Kingsford charcoal. I am really looking forward to doing the same with Kingsford pellets! One of the things that stuck me right off the bat with the Kingsford product is that want you to know EXACTLY what is in the bag. The Competition Blend is a mix of 45% oak, 45% hickory and 10% cherry. 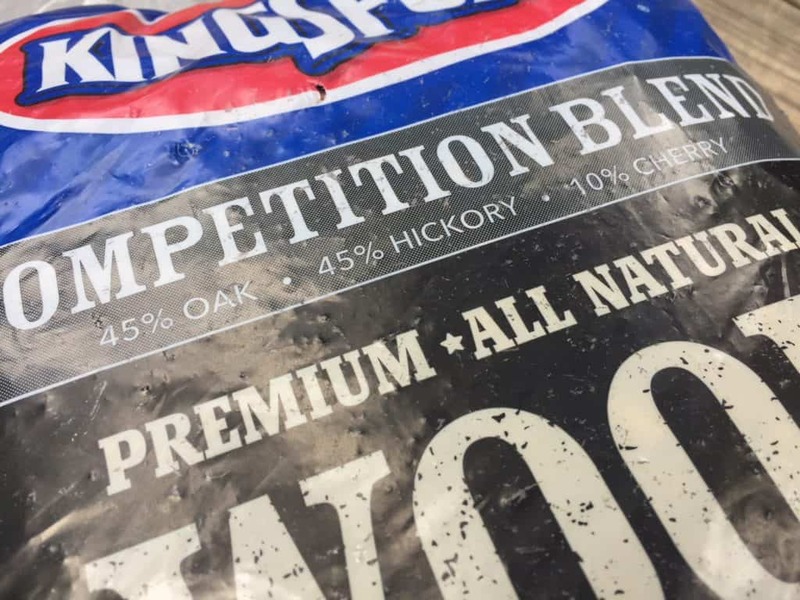 The other Kingsford Pellets contain exactly what is printed on the bag: 100% Cherry, 100% Apple, 100% Hickory and 100% Oak. Many pellet manufacturers disguise the fact that they are selling you blends that are marketed as flavor woods. Next time you are out pellet shopping take the time to check out the bags of other brands Apple or Cherry pellets. You will see phrases like “100% Hardwood” or “100% Natural” but you are not likely to see the phrase “100% Cherry” or “100% Apple”. There are one or two other brands out there that do sell pure flavor wood pellets but, since they are smaller companies, chances are they are not in your town. Kingsford will be. Most other brands are selling you a pellet that is 70-80% oak with the balance being the advertised flavor wood. There is nothing inherently wrong with a blended pellet. Sometimes that might be exactly what you want. But what I want the most is to know exactly what I am getting so I can make my own decisions. Enough of that rant…let’s do some barbecue! My first cook with these pellets was a partnership of Kingsford charcoal and pellets smoking some baby back ribs on my Weber charcoal grill. 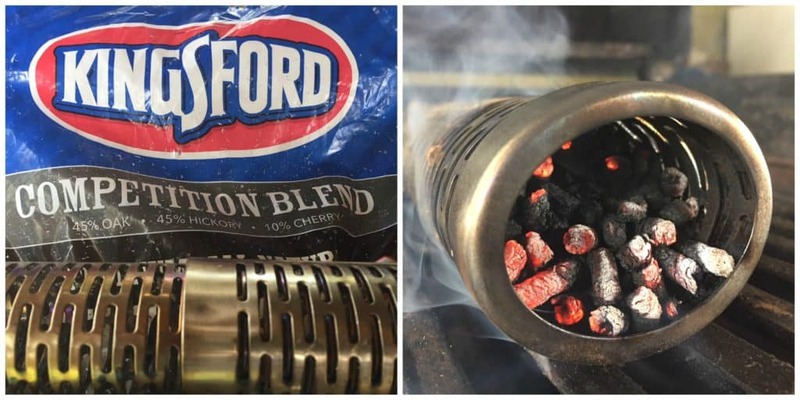 I scattered half a cup of Kingsford pellets across a charcoal basket filled with Kingsford charcoal and then let the fire and smoke works its magic. The ribs came out great with a perfect smoke ring and an awesome smoke profile. I liked using pellets because it lets me be more reproducible in my cooks. 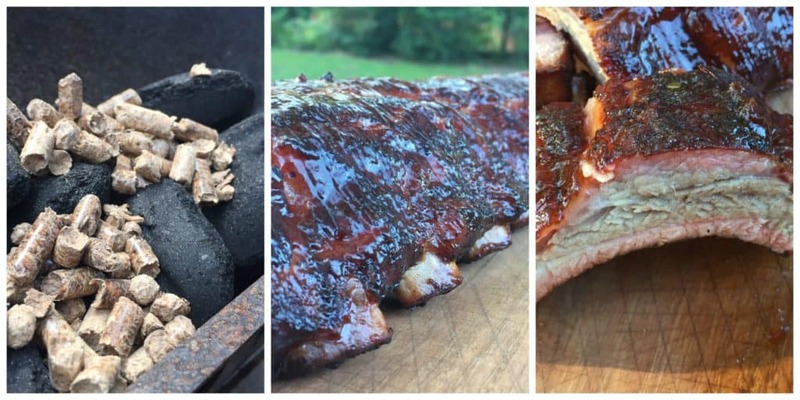 Have you ever come across a barbecue recipe that says to use “a few chunks of hickory”? What does that mean??? I know exactly what a half cup of wood pellets look like and can measure out the precise amount in a heartbeat. I lost a few of the pellets that fell though the charcoal basket but not enough that I cared…pellets are cheap 🙂 You could make an aluminum pouch if you wanted to be neater than me. If you were working with a large charcoal bed like you have on a WSM then scattering the pellets would be a great way of getting a consistent smoke profile without risking the hot spots you get when large chunks of wood catch on fire. Next up was a smoked sirloin roast. 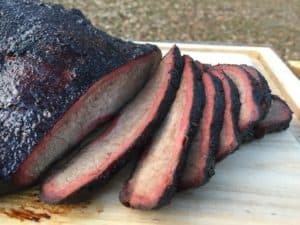 I loaded up my pellet smoker with the Competition Blend and let it stabilize at 250F. I threw on a sirloin roast and it got smoked like a tri tip for 1.5 hours until it hit an internal temperature of 135 F.
The pellets held a steady temperature and the smoke was perfect. The Competition Blend combination of oak, hickory and cherry are some of the best woods for brisket and other large cuts of beef. The smoke was a perfect match for the sirloin and actually intensified when we were eating leftovers the next day. This wasn’t a very long cook but the but the amount of ash residue left behind afterwards really wasn’t very much. This looks to be a clean burning pellet. For my last cook I decided to do what most people do when they want to barbecue. I busted out the gas grill. Of course the problem with grilling with propane is the lack of smoke. I filled my cold smoke pellet tube full of Kingsford pellets, got them lit with a propane torch and placed the tube on the grate of the gas grill. I added some lollipop chicken drumsticks and cooked them on low heat for an hour to give them time to soak up the smoke. After an hour I cranked the heat up to High to finish cooking and crisp up the skin. After a quick dunk into some spicy barbecue sauce these guys were good to go! These may have been cooked on a gas grill but they were some of the best smoked chicken legs I have ever made. 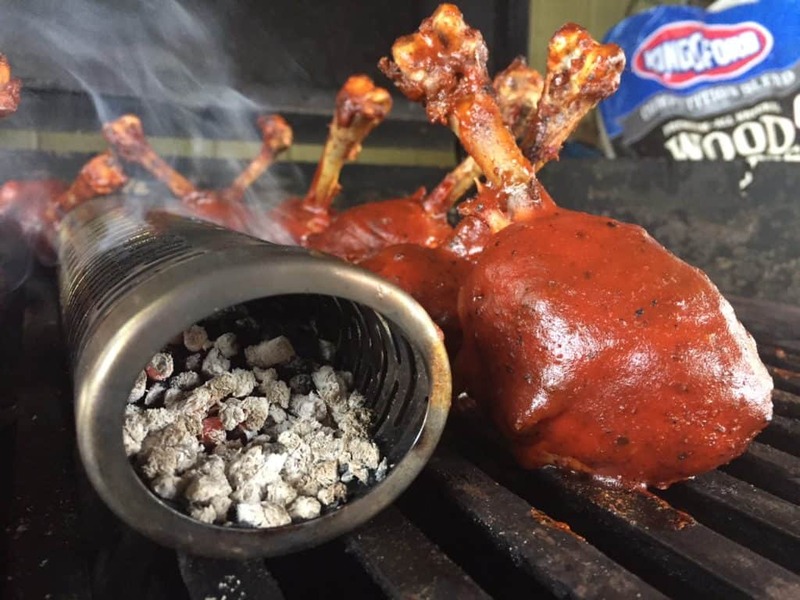 You can also use the pellet tube technique to add some extra smoke to your electric or propane smoker and boost up that missing flavor profile. Kingsford is making their pellets in partnership with Trae Fuels. The Trae Fuels pellet mill is located in central Virginia and produces pellets from the limbs and branches of trees used for lumber. All of the wood is debarked prior to pellet formation to reduce ash content. The Trae Fuel plant is only one of twelve facilities in the county that are ENPlus certfied. The ENPlus certification means you are dealing with a reputable, sustainable company that is going to give you a high quality product in every single bag of pellets. 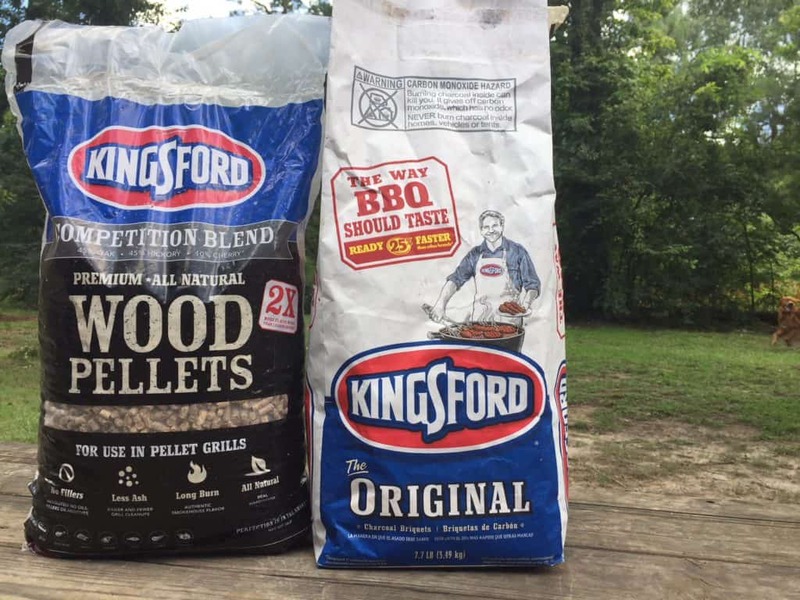 Kingsford pellets are currently available at select Lowe’s and Cabella’s locations as well as on Amazon. You can check this map to see if they are available in your region. Want to Win Some 100% Premium Flavor Wood Pellets? The folks at Kingsford did NOT pay for this review. However, they were gracious enough to offer up some pellets for a giveaway! I will draw the winner at random on August 1st, 2018. Congratulations to Steve from Ohio for winning the pellets! !